David Braun of Americans Against Fracking speaks during the delivery of over 1 million comments against fracking on public lands. Wow. 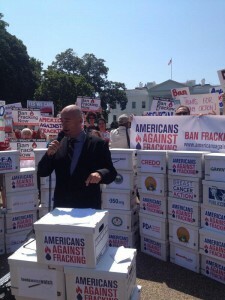 Yesterday the Americans Against Fracking coalition (of which we are a founding member) delivered over 1 million comments to President Obama’s Bureau of Land Management rejecting fracking on public lands. The Bureau of Land Management (BLM) is considering new regulations that will expand private companies’ ability to drill and frack for oil and gas on public lands, and an astonishing 1 million people stood up and said “NO” to this toxic proposal. Many of those “No” votes were from you, Breast Cancer Action members and breast cancer activists who are rightfully concerned about the public health impact of the energy extraction process known as hydraulic fracturing, or “fracking.” We are so proud to stand with you for public health before corporate profit and reject fracking our public lands. Yesterday was a watershed moment in the national movement against fracking. It was the largest outpouring of comments to ever be submitted calling on President Obama’s Bureau of Land Management to ban fracking. We will not stand idly by while our government allows private companies to drill public lands and pump it full of chemicals that harm our health. 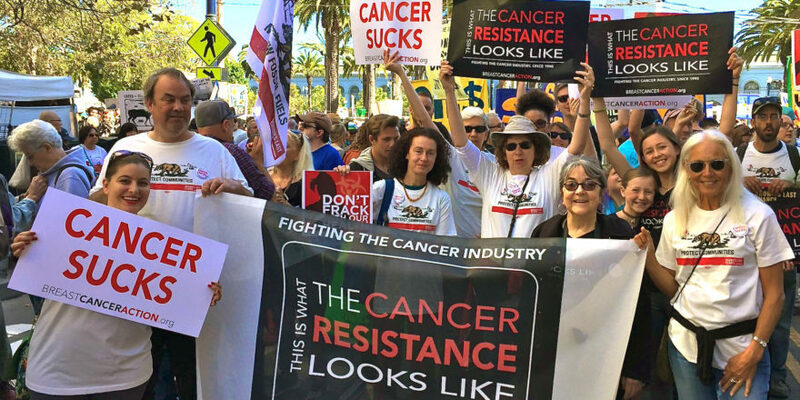 We know that the health of the Earth and the health of our bodies are intimately connected, and we are proud to add a strong feminist voice for public health to the national anti-fracking movement.